If at times you imagine you’re seeing double, you possibly are. The number of women giving birth to twins has increased by close to 50% in the past 10 years. Data has shown that 24% of those who conceived with ART help, had twins, compared with 0.8% of those who conceived naturally, he said. IVF entails combining a woman’s eggs with her husband’s sperm in a laboratory, before transferring the embryos into the woman’s womb. Last year, 6,191 assisted reproductions were fulfilled in Singapore – almost double the 3,335 in 2008, the Health Ministry reported. To handle with looking after two babies, she has the support of a group of mothers with twins. Mrs Regine Sahetapy, 34,recently started a Face book group called “Sg parents of twins and triplets” to give advice and offer support to other mothers. The former management specialist conceived through natural process and gave birth to twin girls. Keep coming back to GlobalIVF where we’ll take you through your fertility options step by step. You’re not alone! No matter where you live, GlobalIVF.com is your main resource in exploring all of your international options including comparing costs, asking questions and getting answers. 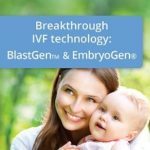 Global IVF.com is here to help you get started, keep going and have a baby! Feel free to contact us!